Officer Bobby Vargas is hard-edged but idealistic, a Chicago cop who stands at the epicenter of a subterranean plot that will have horrific ramifications for both himself and the entire city. Twenty-five years earlier, a gruesome murder rocked the unforgiving streets of Four Corners. Now, sud­denly, a dying Chicago paper is running a serial exposé on new evidence in that old case, threatening to implicate Bobby and his older brother, Ruben—a decorated, high-ranking detective and cop- prince of the streets. The smear campaign stirs up decades-old bad blood, leading the Vargas brothers down an increasingly twisted and terrifying path, where the sins of the past threaten to destroy what remains of the truth. As readers and critics discovered in his first novel, Calumet City, Charlie Newton’s Chicago is a landscape as brutal and poignant as any in modern crime fiction—a multi-faceted, shockingly violent labyrinth of gangland politics, political backstabbing, corporate malfeasance, and, possi­bly, hope. 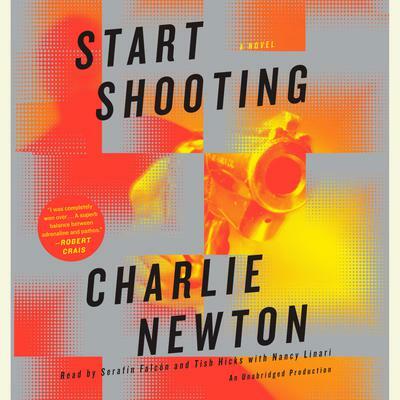 Start Shooting is a riveting read.